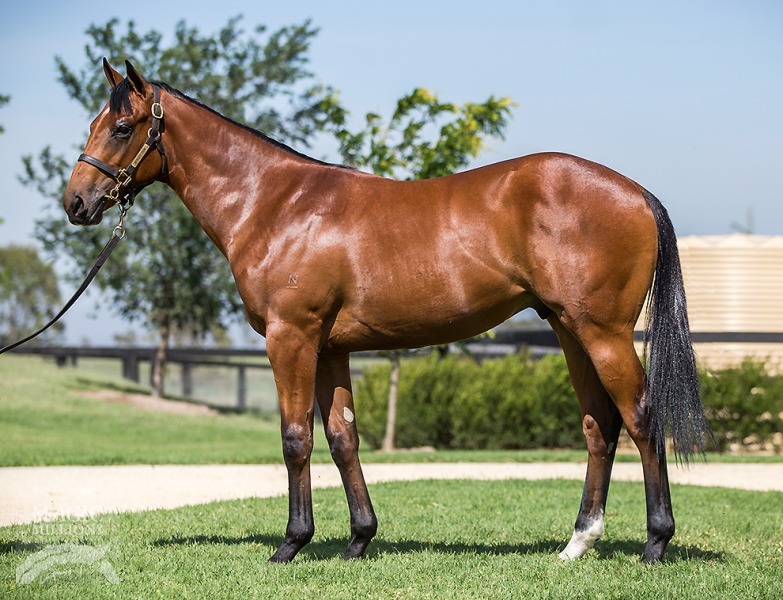 Seven exciting buys from the Magic Millions! 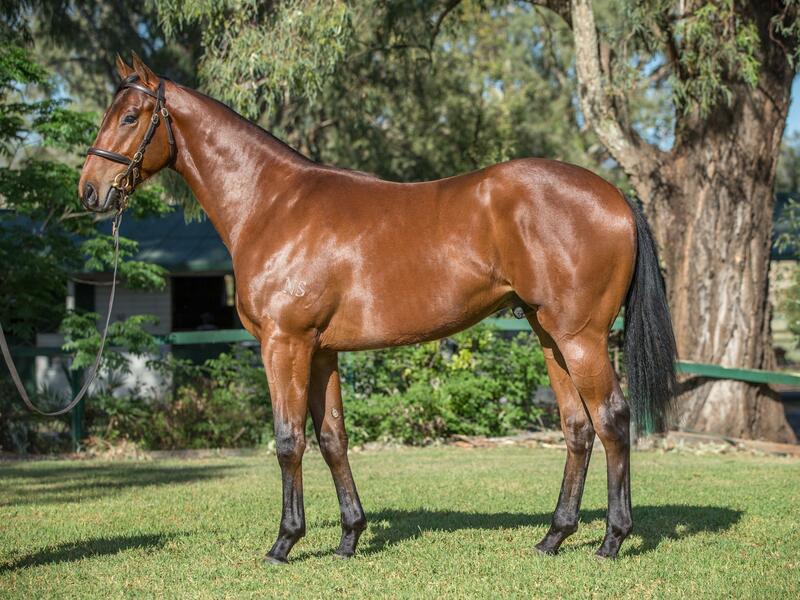 TRIPLE CROWN kicked off sales season at the Magic Millions Yearling Sale on the Gold Coast with seven stunning yearling buys – with shares available shortly!! Don’t miss your chance to join the two-time Everest winners, and Australia’s leading syndicators, in these crackings buys! BY the established sire of Golden Slipper winner CAPITALIST, Blue Diamond winner WRITTEN BY as well as Group 1 winners LUNA ROSSA, TYCOON TARA and MUSIC MAGNATE, we our excited to offer this fantastic colt by WRITTEN TYCOON! 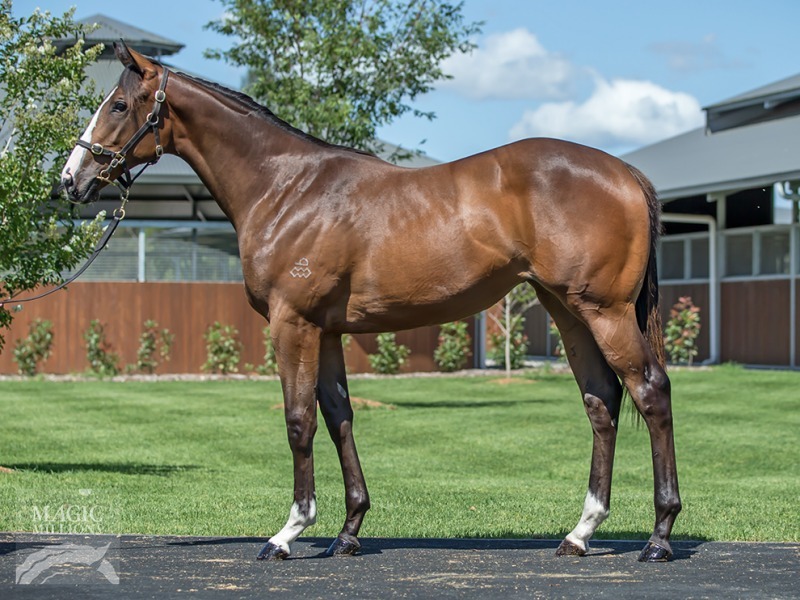 Out of the Stakes winning mare DORF COMMAND, who finished second in the Group 2 Challenge Stakes – a race which Redzel won in 2018 – this is a strong, fluent moving colt of the highest calibre! Written Tycoon is a fantastic source of precocious 2YO talent, and this is a real speed pedigree! 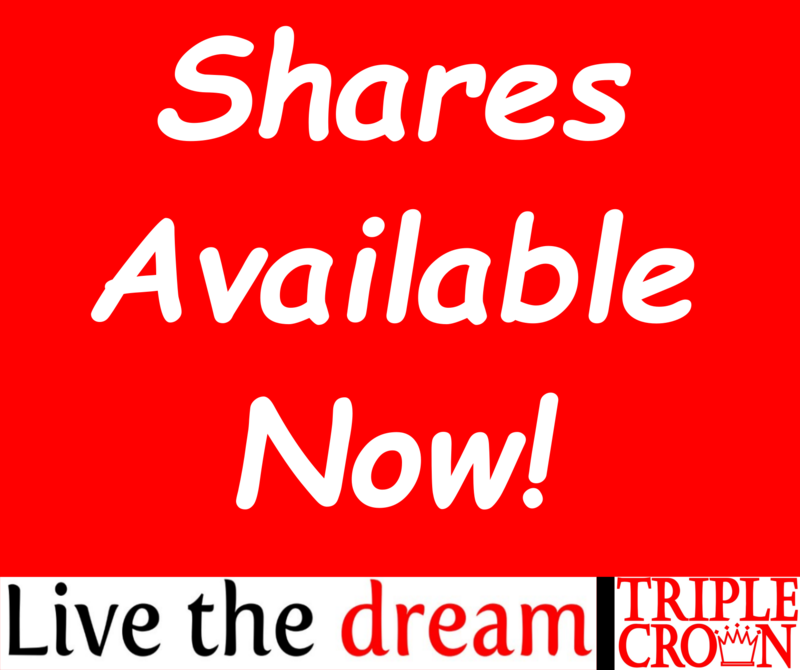 SHARES AVAILABLE NOW! CLICK HERE TO REQUEST PDS! THE Smart Missile breed has proven an incredibly reliable source of winners! The Champion First-Season Sire had a break through year in 2018, with Group 1 Spring Champion Stakes winner MAID OF HEAVEN and talented Group 2 winning filly SMART MELODY! We’ve had fantastic success with the progeny of Smart Missile, with multiple city winners Smartedge and Island Missile, and talented two-time winning filly Ballistica within the team! This colt is out Group 3 Sweet Embrace Stakes winner SHARED REFLECTIONS, who was fourth in the ATC Sires’ Produce Stakes as a two-year-old, and from a prolific Stakes-winning family of JOLANDA, EL CUENTO and Black Opal winner SPEED WEEK! 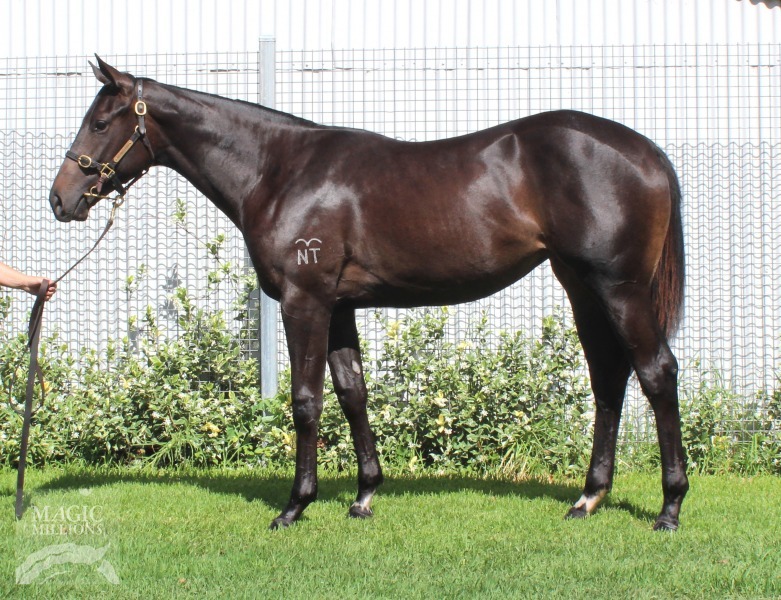 OUR final purchase from the Magic Millions sale, we waited patiently to capture this gorgeous filly by DEEP FIELD! From the sought after NORTHERN METEOR bloodline, Deep Field was a dominant front-running sprinter, landing a Group 2 down the Flemington straight after going unbeaten in his first five starts. His first 2YOs have caught the eye on the track, including Hawker Hurricane, who took the Magic Millions Clockwise Classic at Ballarat. LAZUMBA is a two time winning mare who was runner-up in the Group 2 VRC Sires Produce as a 2YO and is a granddaughter of Group 2 winner EXCITED ANGEL and from the family of Group 1 Vinery Stud Stakes winner MONTOYA’S SECRET. SHARES AVAILABLE SOON! REGISTER YOUR INTEREST NOW! 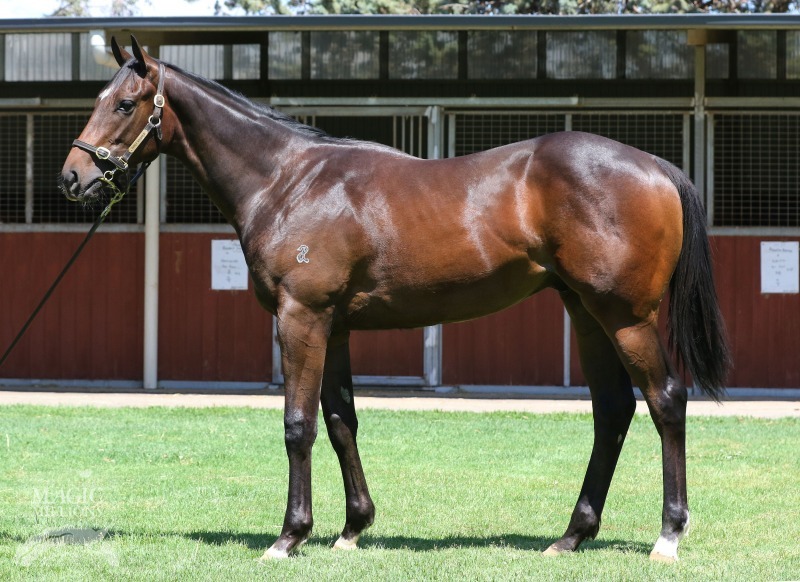 A WINNER of the sire-making Group 1 Golden Rose, EXOSPHERE has been a standout at the Magic Millions Sale with his yearlings, and this colt is a pick of the bunch! Out of the multiple Stakes-placed mare ABSOLUTE FAITH (including in the Group 1 Vinery Stud Stakes), our colt is from a global multiple Stakes winning family. In Australia, we see the Champion 3YO colt HELENUS on the pedigree page – A winner of the Group 1 trio in the Victoria Derby, Caulfield Guineas and Rosehill Guineas and over $2 million in prizemoney. MARLEY’S FREEDOM & NOBLE BIRD are both Group 1 winners in America, while the third Dam TENDER CAMILLA is a Group 2 winner in Ireland and Royal Ascot runner-up. 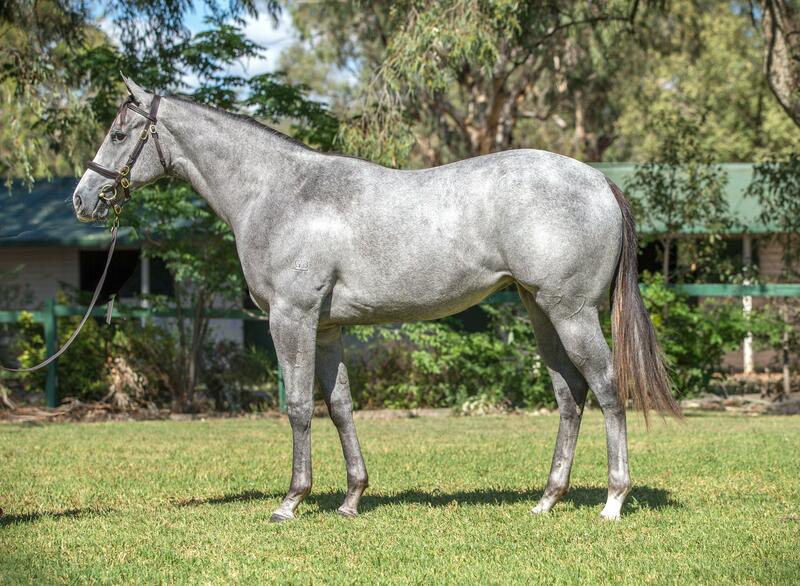 DISSIDENT has had another strong sale after an impressive 1st crop to pass through the ring last year, and this filly is a wonderful, elegant mover, with good size and strength about her. DISSIDENT was a Group 1 winner at 3, 4 and 5, collecting both the Horse of the Year and Champion Sprinter awards in 2015. This filly has a pedigree page as impressive as her physique, and is out a half sister to the Stakes winner HARLEM RIVER, and from the superb family of Group 1 winner IN HER TIME! Fourteen Stakes winners have been produced on this SEBRING/DANEHILL cross, including this season’s brilliant 1,000 Guineas winner AMPHITRITE! SHARES AVAILABLE SOON! CLICK HERE TO REGISTER YOUR INTEREST! WHO doesn’t love a grey?! And this filly is as elegant as they come! Her sire SCISSOR KICK, exploded onto the scene in 2014, winning twice as a 2YO before defeating Panzer Division in the Group 3 Up & Coming Stakes. He then went within 0.2 lengths of becoming a Group 1 winner, when just touched off by Hallowed Crown in the Group 1 Golden Rose, defeating Shooting To Win in third. DE GROOVE has already produced two Stakes placed sons in TOP ME UP and GENERAL GROOVE, while she has a son in Hong Kong was a four-length winner at Sha Tin in January, and looks to have Group-race potential. SHARES AVAILABLE NOW! CLICK HERE TO REQUEST A PDS! REAL IMPACT is an exciting addition to the Stallion ranks this year with the Japanese sensation having stood at Arrowfield Stud. The son of DEEP IMPACT was a Group 1 winner in his native Japan, before coming to Australia during his final racing preparation, winning the Group 1 George Ryder and was runner-up in the Group 1 Donacaster Handicap. The filly is out of the Group 2 winner RIBE and a half-sister to Group 1 Blue Diamond winner REAAN! A brilliant physical type and a really exciting prospect!